Hoolehua Airport on the island of Molokai is in the center of the island. This is a small, two runway airport that doesn’t serve major airlines but is your destination if you fly to Molokai from another island. 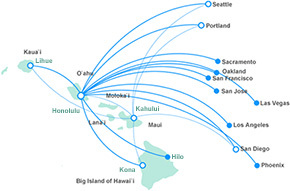 You’ll find your Molokai Island rental vehicle is waiting right at the airport.